MSNBC has started a new survey on the PBS panel on the Armenian Genocide. Please click here and vote NO. The Assembly of Turkish American Associations (ATAA) has sent e-mails to thousands of Turks asking them vote for the panel. As of now, 66% of the voters have voted for the panel. Please vote NO and tell others to do the same. 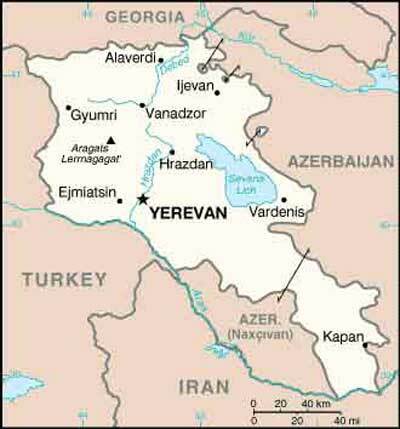 Armenia is in western Asia. It shares a border on the north with Georgia, Azerbaijan on the east, and Turkey on the west and south. The first group of Armenians came to the United States in 1895, through Ellis Island. They drifted to areas where work could be found, and inevitably wound up in Cleveland. They came to Cleveland to work in the steel mills, but at that time, there were probably only 20 people or so. A larger group came in the early 1920's, after the 1915 genocide. The highly educated Armenians fled to Europe and even Egypt. The villagers and less sophisticated Armenians traveled to the United States. It is typical for Armenians to adapt quickly to the community they are in, and they did so here in Cleveland. Quite often Armenians are business owners. Education is of vital importance to Armenian parents and being sure their children received as much education as possible was (and is) paramount. Currently there are an estimated 2000 Armenians in Greater Cleveland and 3000 statewide. Throughout much of its history, Armenia has been controlled by others, including Persians, Romans, Mongols, Ottomans and Russians. They suffered greatly under the influence of these foreign rulers. Between 1894 and 1896 hundreds of thousand of Armenians were murdered by the Turks. This number paled in comparison to the millions who were killed between 1915 and 1923, also by the Turks. In 1918, Armenia declared itself an independent country, but this was not destined to last long. In 1922 they were incorporated into the USSR as part of the Transcaucasian Soviet Socialist Republic. In 1936 Armenia became a separate Soviet Socialist Republic and remained such until 1991. In 1992 Armenia became a member of the United Nations. The 1915 genocide of the Armenian people is still officially denied by the Turkish government, but Armenians are quick to point out that the 1.5 million Armenians killed at this time cannot be denied. It has been acknowledged internationally, including the United States. April 24, 2002, President George W. Bush commented in part "�Today, we commemorate an appalling tragedy of the 20th century, the massacre of as many as 1.5 million Armenians through forced exile and murder at the end of the Ottoman Empire. These horrific killings left wounds that remain painful for people in Armenia, in Turkey, and around the world. 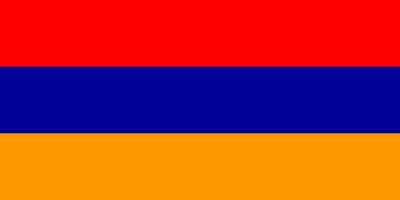 I join the Armenian community in America and across the globe in mourning this horrendous loss of life�." Thanks to Sam Mirakian who is arguably the most knowledgeable person when it comes to Armenian culture, history and music. 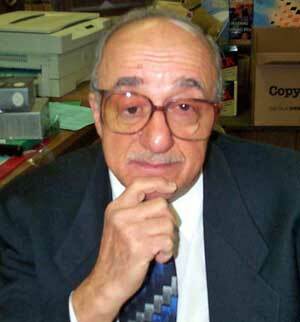 His radio show is on every Sunday night from 5-7 p.m. on WJCU 88.7 FM. Sam can be reached at (216) 241-2476. Copyright � 2002-2006 ClevelandSeniors.Com. All Rights Reserved.